Most people think you need to be an expert in a topic to teach it, but really — that couldn’t be further from the truth. But why should you even care about teaching others? It should be obvious by now why teaching what you know can be so powerful. And I can tell you with absolute certainty that the reason why I’ve been so successful in my life is from teaching based on my own personal experiences. When my business succeeds, I teach people how I did it. 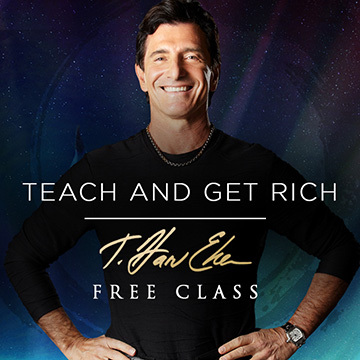 When I became financially free, I taught others how to do it… and made a LOT of money doing it. 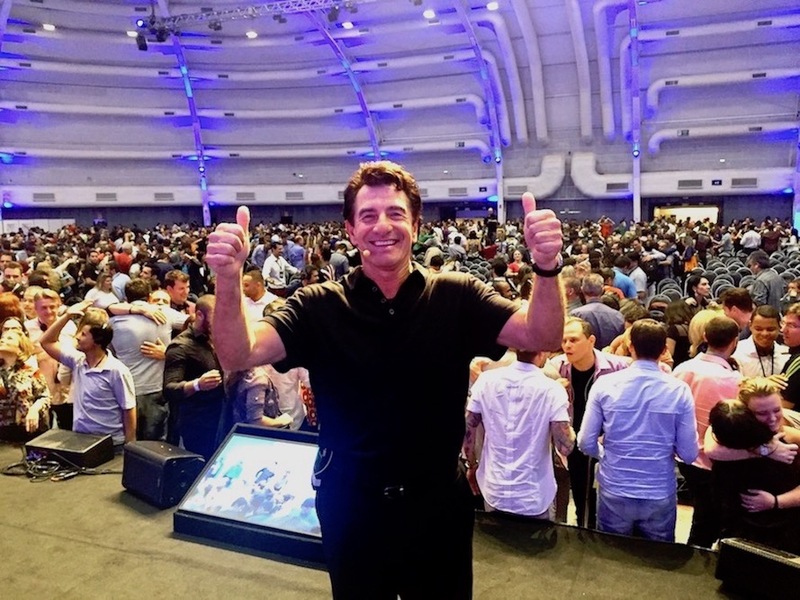 When I built the largest training company in the world, I made it my mission to help others become world-class trainers and use teaching as a method to grow their business. Because there really is an art to being a great trainer, and a science behind getting rich doing it. So Now You Know Why Teaching Is So Powerful… But What If You Don’t Know Where To Start? What do you think of my video above? Have you considered teaching others what you know and love? If not, why not? Leave a comment below. I’d love to hear from you! I will be on the webinar in my home and taking notes. Thank you for the valuable information. Hay forma de que se transmita en español? Wow. You know, you have a point. Thank you for all of your great help! I love teaching, so this video was particularly encouraging. I don’t feel like an expert, but I can see how positioning myself as a teacher would make me one. Thank you! That’s cool Harv! Thanks for this great article. Love it! Wish I could get a clue. Thanks for sharing your valuable experience about teaching ,those information valuable to me and teaching experience also valuable and let me be rich in my heart and mind and soul . I find myself teaching my clients at my Organic Spa all the time, but I can’t fathom how it could be a long enough presentation to have people attend. Do you have any suggestions? Is that Possible to talk with Dearest T. on The Phone?. I Would appreciate Very Much this “to-be Possible” and for The Ones Who Want to Listen Our Loved Master; Dearest T. Harv, (I mean) in Spanish. Well I think that it could be some difficult, BUT I will Start My Own Company of Teaching English with My Own and Unique Method of Lear.ning To Speak Fluent English in just 12 months and with just studying 4 Hours a Week and “WITHOUT Homework” and all this is Being Possible thanks to This Great Angel Who dropped from Heaven To Help Us all called Spiritual and Material Master T. Harv. Eker.!!! !, WOOOOOOOOOOOOOOOOO!!! So, I am writting My Personal E-mail Address (and I hope it will be kept) for The Ones Who Wanted to become my English Students and I Guarantee that My Personal Metohod to Learn English REALLY WORKS, (Otherwise I will get back The money invested)!!! I found that teaching also inspires the teacher to keep going. Motivated people continue to motivate people & the positive cycle grows, expands, & continues. I have to find my niche to charging a set price and then market. I had started to teach my parnners about “the secret of millionar mente” even before I see this video, so, I can see I’m in the right way!!! Having been a corporate trainer and motivational for more than twenty years, I absolutely agree with Harv. 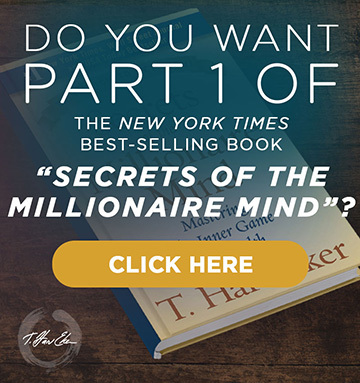 I purchased The Millionaire Trainer Program and I plan on going through the program after I work on building my list for my new, niche oriented website. I’m sure I will learn many valuable ideas which will help me create and deliver the perfect programs for my new niche. Thanks Harv for tthe value content. Great, Thank you very much for the value content. Hi, like to attend webinar for this. We have more information on the web class coming soon! Keep watching your inbox as we will be sending more information on the special class this week and next. Very well done video and very inspiring. I am a good teacher. I am looking to figure out how to market myself and also figure out how to find my niche. Not sure how to put it all together and how to attract the right interested people. I am interested in buying your Wealthy Marketer. I love teaching and sharing great opportunities with people. Would love to attend your conference in the near future. Thank you for making it available! I love and dream of making very big in education domain — but till date not succeeded. Yes, all my friends and my family always says to go for a teaching profession as professional revenues, which has no recessionary stages. I planned teaching college students, though a very few ( 4 nos. )— but later on somehow, things and my mind set not matched.. ( as a freelancer ). While listening to your vedio, my dreams and passion aroused and I started brimming with confidence, I would like your guidance and your wishes and your helping hand at every stage of my future endeavours…. Pray and Bless e with good wishes and success. Harv, I’m not kidding, I asked the universe for a sign today and this is it, with utmost gratitude, THANK YOU!!! But I think that I have nothing to teach! What to do then? I am hungry for more. I have wasted enough of my life doing things I do not love or even care about. I do not have a platform…………………. Teaching is a great way to learn more about your craft. You will be forced to answer questions that you probably never thought of before. But, always go directly to the source and give the right answer, not the one you “think” is right. You won’t make any money teaching, but the satisfaction is great. Been following the blog,so educative am from Africa in particular zambia but need to learn a lot because I have a zeal of being a trainer but luck of self esteem.Testimonies so encouraging.,my prayer is to be one of the beneficiary that I make a difference in my country.thanks harveker you great. Great piece I need. I love teaching; I need some guidance. Thanks Harve for reawakening my interest in teaching. I have longed yearned to be a good teacher and speaker . Currently I have resolved to go pro in my networking business and see teaching as a good platform to increase my network and sales. Am still struggling to get started ,and will appreciate any assistance in this regard. Ho sempre paura che insegnare agli altri ciò che so professionalmente possa permettere loro di rubarmi clienti invece tendendo per me alcuni segreti penso sia uno scudo di protezione. I really want to make it to class. Great great webinar!! Thank you!! I need to inriched my capabilities to teach,follow your teaching system. I hope you’ll extend it to me. Thanks. Very nice! I like this training. Thank you for the encouragement. Your video is an inspiration for teachers. I want to be trained to become a professional Network Marketer. because of challenging personal and family circumstances I have to sell my Quantum Leap package. Mes salutations les plus chaleureuses a Mr. Harv qui s’est tenu toujours a sa parole et sa promesse de porter de l’aide aux autres.. il est généreux ce Monsieur!! Estoy interesada en sus programas, si son en español o solo en ingles? Thank You for a nice and easy training. For me it is expensive to the fees for the course the 500$ and the 1000$ because since 2006 I am without a job. I left my job to take care of them since they need 24 / 24 hours bedside care nursing and medical care and bedridden.